This chic shoulder bag is featured in diamond stitched aged calfskin leather in white with a sturdy smooth black calfskin base. 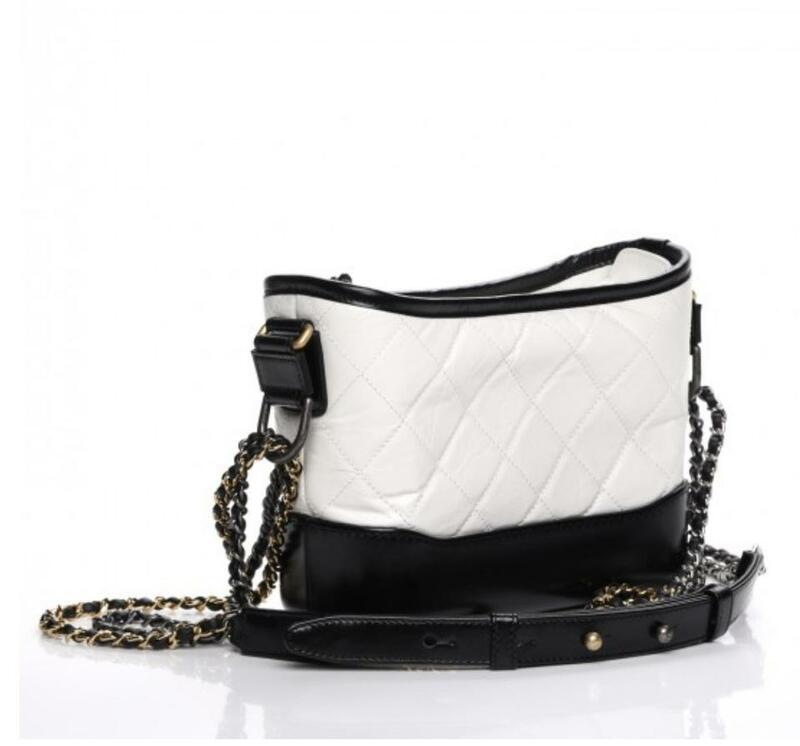 The cross body bag features thin gold tone and ruthenium chain link black leather threaded shoulder strap with a shoulder pad. 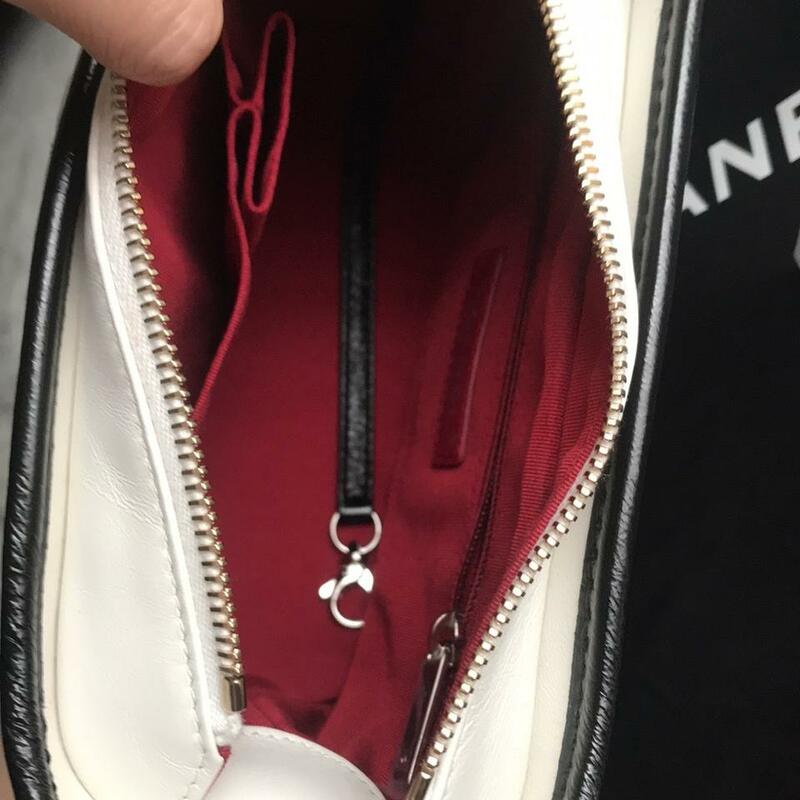 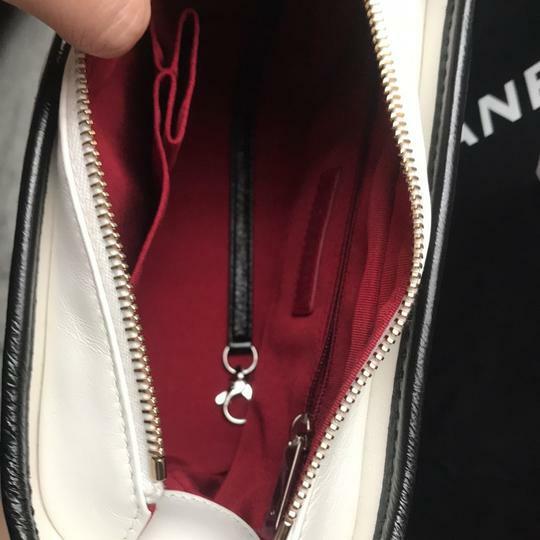 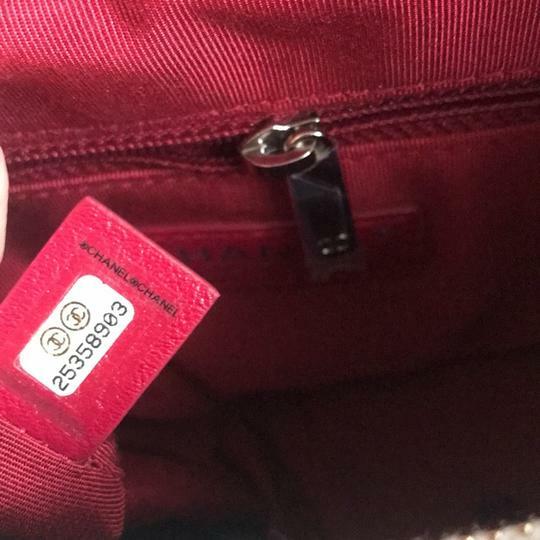 The top zipper opens to a spacious deep red fabric interior with zipper and patch pockets. 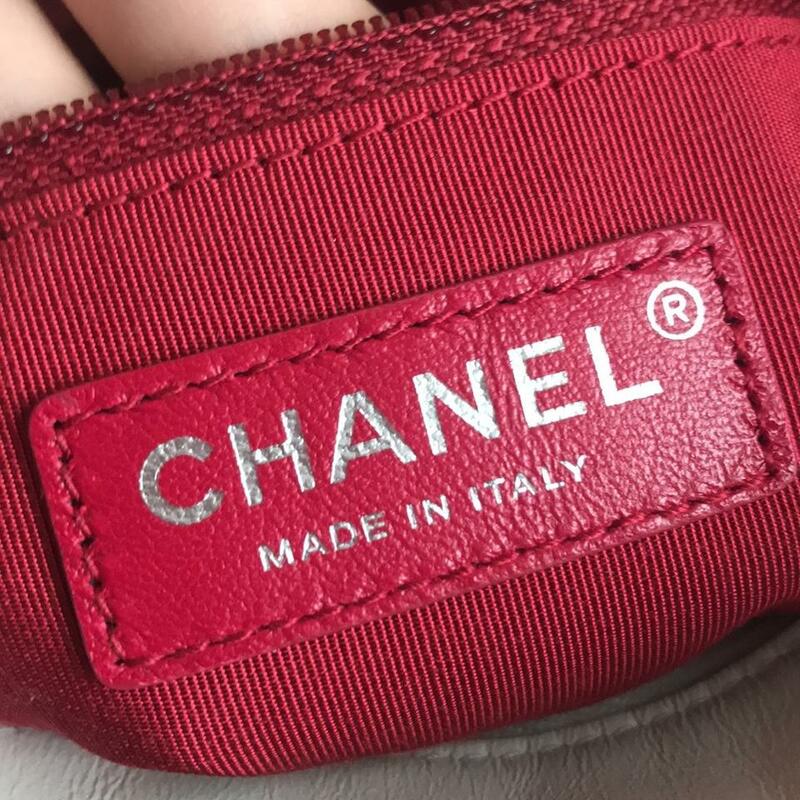 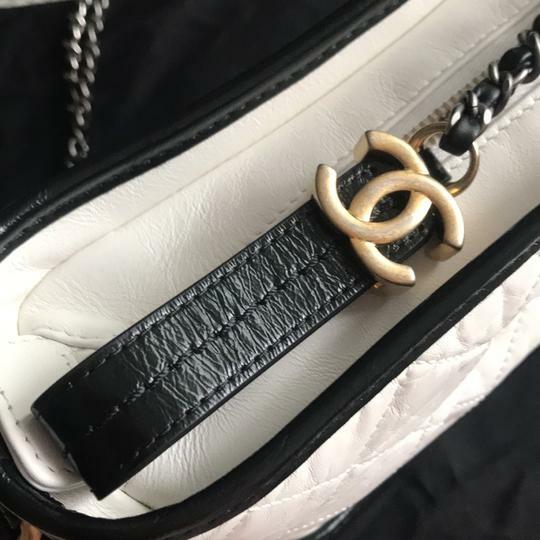 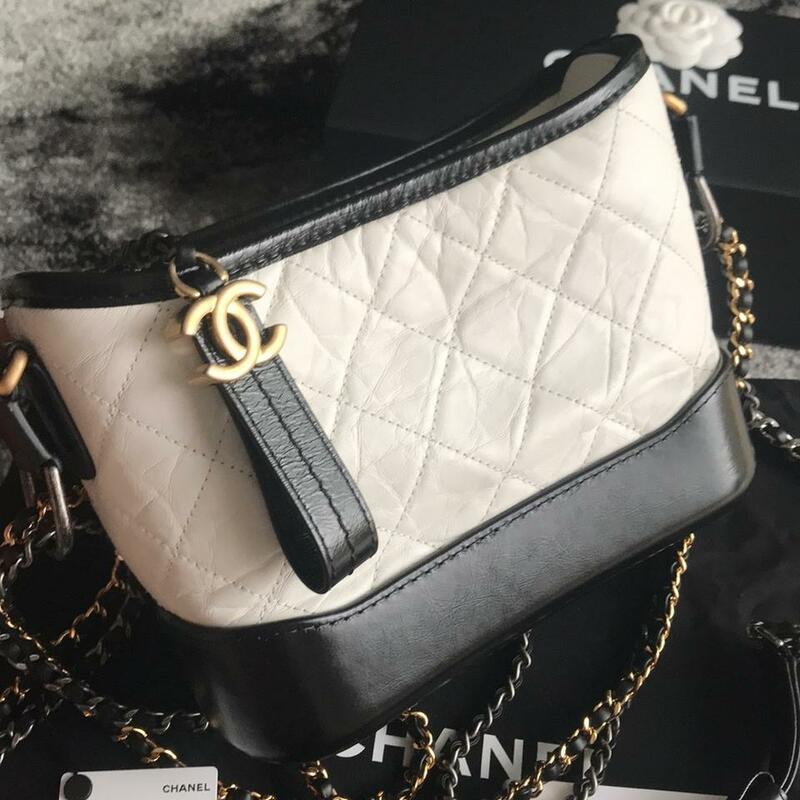 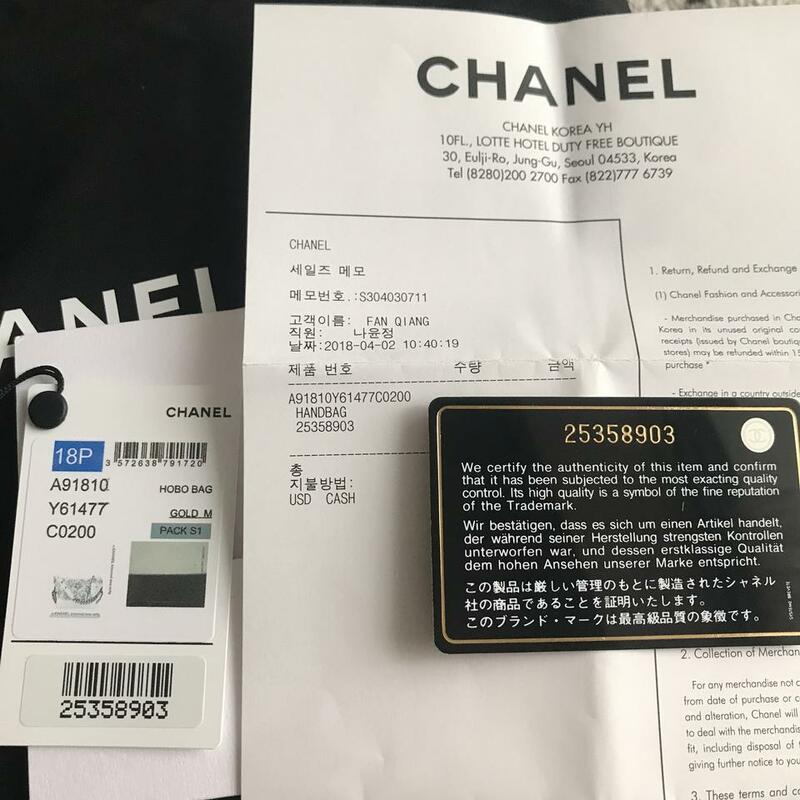 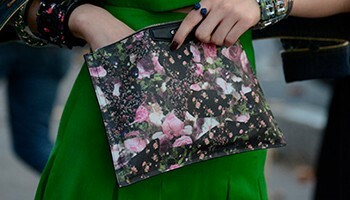 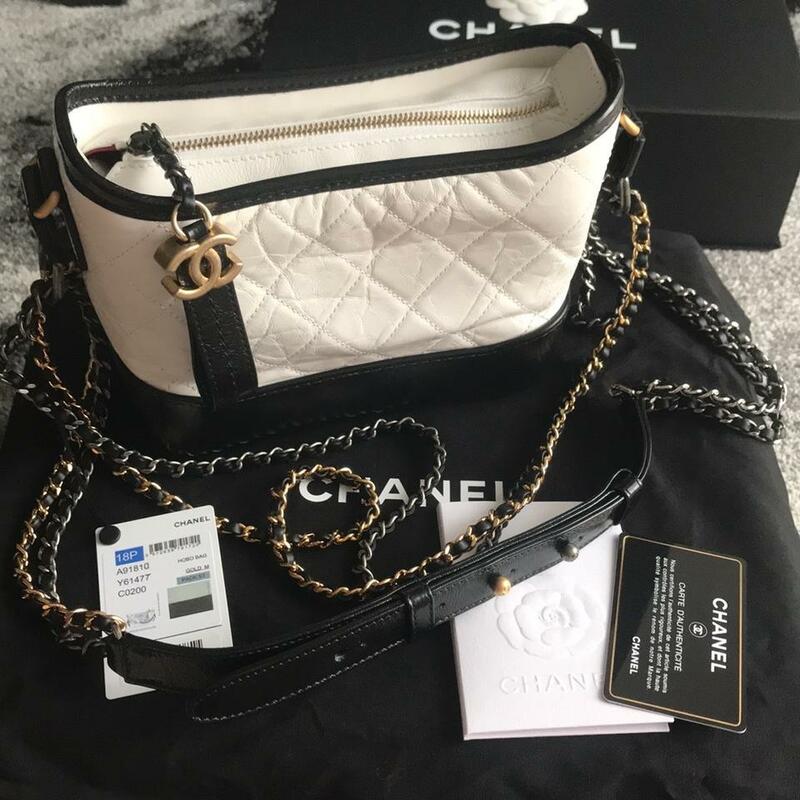 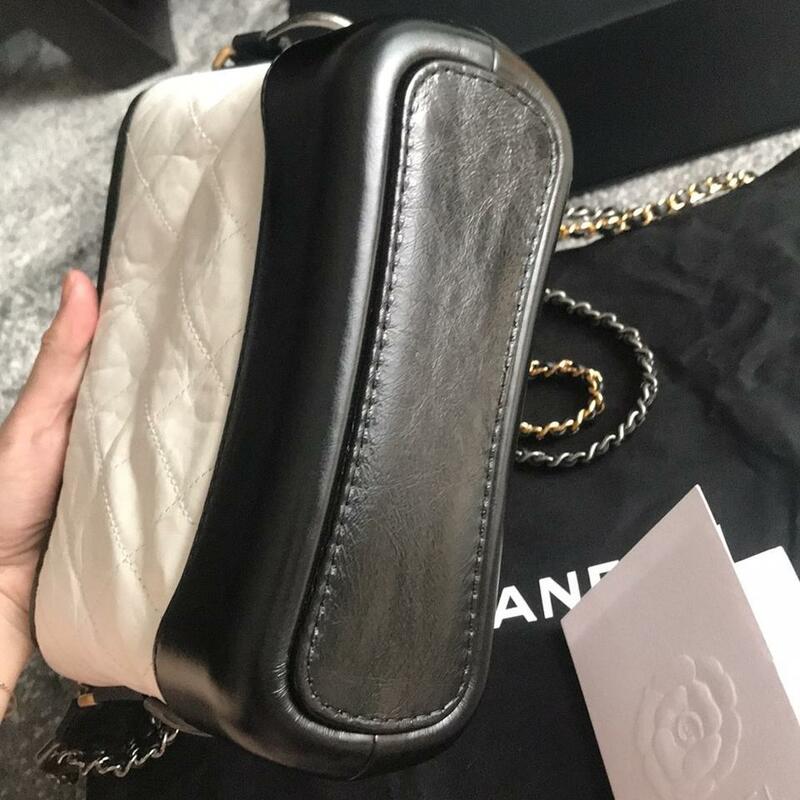 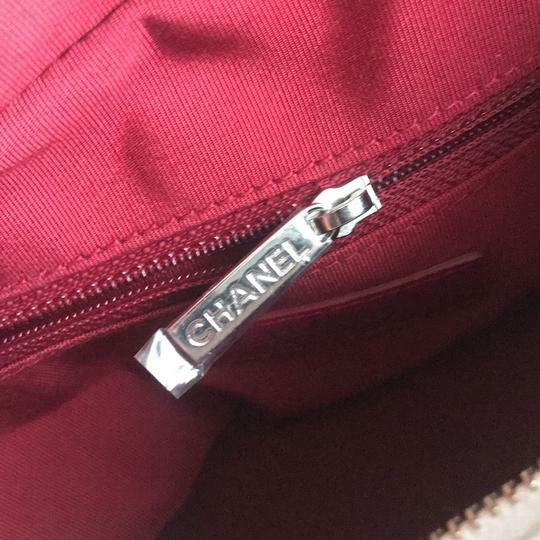 This elegant and functional shoulder bag is both versatile and chic, from Chanel!